2017 brought about many changes and radical turns, some would say. The United States entered a new era when Donald Trump was elected to become President. Health care industry felt this change and has to adapt to new times, again. Many years were spent adapting to the Affordable Care Act, which now may turn around completely. We still haven’t witnessed any serious events which would destabilize the health industry, but this does not mean we should not prepare for them. We will tell you a bit more about the most challenges we believe the health industry will face in 2017. Many new emerging technologies are just around the corner; we will have to find ways to introduce them to wider audiences.New technologies are worthless if we can’t reach the people who need them. Also, one of the areas where the invention is needed the most is the fight against infectious diseases. Bacteria and viruses are ancient enemies, but we need new weapons to fight them. 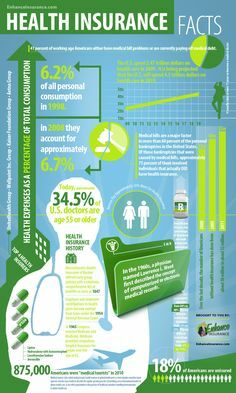 Finally, one of the big topics in the health industry is certainly nutrition, because it leads to a healthier population. How we secure healthier nutrition is possibly the biggest challenge we’re facing. The pharmaceutical industry is one of the largest businesses in the world, and it can dictate the market quite significantly. It is important for governments to put the brakes on rising drug prices. Furthermore, the authorities should also oversee the large partnerships and collaborations which will or have happened during this year. Another important aspect of working for the future of the health industry are the people who will lead: the students. We need to prepare them for their careers in the value-oriented economies. Patients have to be in focus, and the health industry needs to find ways to adapt to the needs of the public quickly. If we cannot understand and formulate what the public expects from the pharmaceutical companies, we cannot have good products. Adaptation is necessary. Health organizations need to work more effectively to secure a healthier world. The health industry does not have to be a burden around the neck of a country. The health sector can grow to become an efficient, almost self-financing entity with proper means of stimulation. Many countries around the world seek ways to promote the health sector’s effectiveness, both regarding serving the needs of users and being financially stable. It, however, is often a difficult task because it demands very costly investments, and because of the vulnerability of the system to negative global economic tendencies. The key, most economic and health experts cite, is to be able to promote the health industry as a way to stimulate the high-tech industry. Innovation in the field of medical services can fuel the whole economy and serve as a stabilizing factor. The health industry usually plagues the economic stability of modern countries due to high medical costs and a rising number of people who need medical attention. This is why it is imperative that the health industry becomes a stable environment, with high wages to attract capable and productive professionals. This way, the health sector will become a strong potential to export goods and services and motivate scientific breakthroughs. These scientific spillovers will, in turn, impact many other hi-tech fields. Furthermore, health policy analysts will be motivated to explain and define how improved health policies have broad implications which affect many different industries. The health industry has a great potential to influence the development of many other high-technology sectors. This year we expect to see so many innovative products in the health sector. We will see smart watches which can protect you against sleep apnea, chest straps which will monitor the way our hearts function and then send the data straight to your smartphone, smart glasses for visually impaired people, applications which help you fall asleep and so many more. IF the regulators see it fit that the health industry can be one of the main drivers of technological advancement and, hence, economical progress, we will look forward to good times. We hope that the people in charge will understand to loosen the chains of the health industry and stimulate it to become a driving force in our economy.